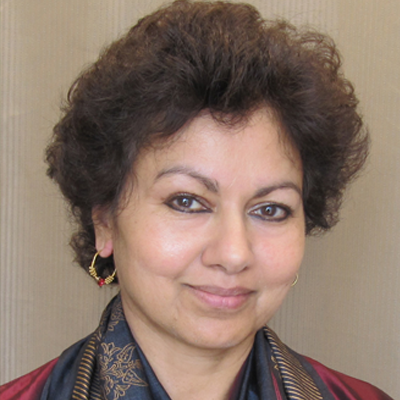 Professor Asha Singh Kanwar became President and Chief Executive Officer of the Commonwealth of Learning (COL) on June 1, 2012. She has served COL for 12 years, first as an Education Specialist – Higher Education and Policy and then as its Vice President for six years. Before joining COL, Professor Kanwar was a consultant in open and distance learning at UNESCO’s Regional Office for Education in Africa (BREDA) in Dakar, Senegal. Professor Kanwar’s engagement with distance education began when she joined Indira Gandhi National Open University (IGNOU) where she served as Professor, Director of the School of Humanities and Pro-Vice Chancellor. Professor Kanwar has over 30 years of experience in teaching, research and administration. A recipient of several awards and fellowships, Professor Kanwar brings with her the experience of having studied and worked in different contexts, both developing and developed. She received her undergraduate, Master’s and MPhil degrees from the Panjab University in India and a DPhil from the University of Sussex. She was a Fulbright Fellow for post-doctoral research at Iowa State University, where she was later invited to teach. Professor Kanwar received the International Council for Open and Distance Education (ICDE) Prize of Excellence in 2009. In 2014, she received the AAOU Meritorious Service Award for outstanding contributions in the areas of open and distance education. She has been awarded honorary doctorates by two universities. Effective September 2015, she was elected as a member of the ICDE Executive Committee for a four-year term.